On the practice tee, I have a number of checkpoints I go through, particularly when I'm not swinging as well as I'd like. 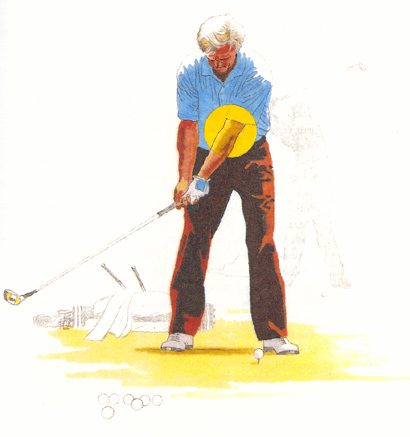 The most important of these relates to the very start of the swing, where I key on my left elbow. To ensure that my arms and shoulders move away from the ball in one piece, and that everything starts on a straight line back from the ball, I think of controlling the takeaway with a pushing backward of my left elbow. It's as if that elbow pushes the rest of my upper body back and away. This gets me going in good rhythm and helps encourage a full coil of my shoulders and hips at the top of the backswing.